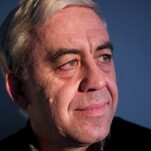 Krassimir Kanev was among the founders of BHC in 1992. Between 1992 and 1994 he was its secretary and since 1994 he has been chair of the organisation. He received his PhD in Philosophy from Sofia University St. Kliment Ohridski and is a graduate of Columbia University, where he specialised in human rights. Between 1998 and 2007, he was member of the executive committee of the International Helsinki Federation for Human Rights, based in Vienna. Since 2005, Dr. Kanev is member of the Board of Trustees of the UN Voluntary Fund for Victims of Torture, and between 2008 and 2010 he was its chair. As of 2006, he is board member of the Association for the Prevention of Torture, Geneva. In 2008, Kanev also became board member of the Public Interest Law Institute (PILI), New York, while between 2007 and 2008 he was board member of the European Roma Rights Centre in Budapest. Dr. Kanev has participated in numerous international human rights monitoring missions in various countries in Europe, Central Asia, and the Middle East. He has authored and edited many books and articles on international human rights law, interethnic relational sociology, law and education, aesthetics and logics. Yana Buhrer Tavanier is a human rights activist and strategic consultant at Bulgarian Helsinki Committee. Between 2009 and 2014 she was responsible for the communication and organisation, as well as impact and visibility, of all BHC campaigns. Before that she was editor of the society section at Capital weekly between 2003 and 2008. Yana is also co-founder and a driving force behind the volunteering platform TimeHeroes.org, as well as co-organiser of the largest conference for the sharing of ideas in Bulgaria – TEDxBG. Yana is a TED Fellow and Young Global Leader of the World Economic Forum (2012-2017). She has authored two handbooks for journalists, and has also made two documentaries and two photography exhibitions. Yana received the Paniza award for reportage in 2001, the award for best investigative article, co-established by the Guardian Foundation, and the UNHCR Bulgaria prize for journalistic excellence in 2007. As a recipient of the Balkan Fellowship for Journalistic Excellence (fellowship.birn.eu.com), Yana investigates the situation of persons with mental disabilities in institutions in Bulgaria, Romania, Serbia, and subsequently in Macedonia and Croatia. Красимира Величкова е директор на Български дарителски форум — организация, която обединява, представлява и подпомага големите дарители (компании и фондации) в България от 2004 г. Мисията на организацията е да съдейства за формирането на положително отношение на обществото към дарителството, да развива благотворителността в България като работи за подобряване на средата за дарителство, да предоставя платформа за контакти между дарителите, за обмен и съгласуване на дарителски политики. Tatyana Vaxberg is a freelance journalist. She is a correspondent for the Bulgarian edition of Deutsche Welle and the Russian branch of Radio Liberty in Sofia. She has covered the Milosevic case in The Hague (2002-2003), the trial of the Khmer Rouge in Cambodia (2010) and has also been a correspondent for Radio Liberty in Washington (2004-2005). She has worked as a reporter at Bulgarian National Television as well as as a presenter and commentator for Radio Free Europe. Tatyana has won four national awards for both analytical and investigative journalism. Alexander Kashumov studied Law and Philosophy at the Sofia University “St. Kliment Ohridski”. He has been working in the freedom of information area since 1997 and is currently Head of the Legal Team at the non-governmental organisation Access to Information Programme. Alexander Kashumov was recognised as “Attorney of the Year” for 2008 by the Legal World magazine. In 2001, Alexander successfully led the first two anti-discrimination cases in Bulgaria, before the adoption of the Law on Protection against Discrimination. Since then he has worked on cases against segregation, denial of education, evictions and police violence. Daniela Mihaylova is the head of the legal program of the NGO “Initiative for Equal Opportunities”. She is a member of the Sofia Bar Association since 1996. She is one of the authors of the texts of the Law on protection against discrimination and an active participant in the advocacy campaign for its adoption. She has worked on more than 200 cases of discrimination from various spheres of public life in front of the judicial authorities as well as the Commission for Protection against Discrimination. The main focus of her work is the protection of the right to equal treatment of the Roma minority. She represents Roma families who are forcibly removed from their homes in front of Bulgarian courts as well as the European Court of Human Rights. In 2005 she worked on successful cases related to the recognition of the discriminatory nature of segregated Roma schools. She has authored a series of analyses related to the state of the Roma minority in the country, as well as a number of proposals for legislative changes designed to bring Bulgarian legislation in line with international legal standards for the protection of human rights. Since 2015 she is an expert of the Council of Europe, in the CoE and the European Commission’s ROMAKT Programme. Petko Petkov is a judge in the criminal division of the Sofia District Court from July 2007, and from 2005 to 2007, he was a junior judge at Sofia City Court. He is currently a member of the Union of Judges in Bulgaria from 2005. Previously, he was a member of the Executive board of the organization and chairman of the ethics committee at the Sofia District Court. He is a temporary lecturer in criminal law and procedure at the National Institute of Justice from 2012 and during the period from 2011 to 2012, he was a lecturer at the University of Library Studies and Information Technologies. From mid-2014, he was appointed as Deputy Minister of Justice. In December 2015, he resigned together with the Minister at the time as a sign of disagreement with government’s policy. Yavor Genchev was born in 1976 in Sofia. He received his secondary education from 133 Sofia High School “Alexander Pushkin”. He graduated from the College of Management, Trade and Marketing with Danish participation and Sofia University “St. Kliment Ohridski with a graduate degree in English Philology. Since 2007, he is responsible for marketing and public relations in the Bulgarian branch of the international organization for animal protection “Four Paws”. He is an active supporter of the criminalization of violence against animals and creating a police unit dedicated to protecting animals. Boyana Petkova is the founder of “Poppies for Mary”, a foundation supporting parents who have experienced intrauterine or perinatal death of a child. Between November 2013 and October 2014 Boyana participated in several public discussions and publicized the topic in the media. She organized several charity photo exhibitions, including Small Things and 1300 Grams, the latter with BHC’s support. Petkova is the initiator of the petition “Our children are not biological waste”, which called for the discontinuation of the practice of burning stillborn babies as biological waste by healthcare institutions. In 2012, she won the special prize for “Personal advocacy courage” and in 2014 – for “Inspiration of the year”.